Happy Holidays and A Very Happy New Year to all! Can you believe that 2015 is around the corner? While it may seem hard to believe, we are excited that 2015 is nearly here! Like all of you, we are saying our goodbyes to 2014 and working hard to make sure that 2015 is going to be the best year ever! Many of our readers, like the rest of us, have had both good and bad times this year. To start the new year on a better note, We've decided to say farewell to 2014 and hello to 2015 with a fun tablet giveaway! 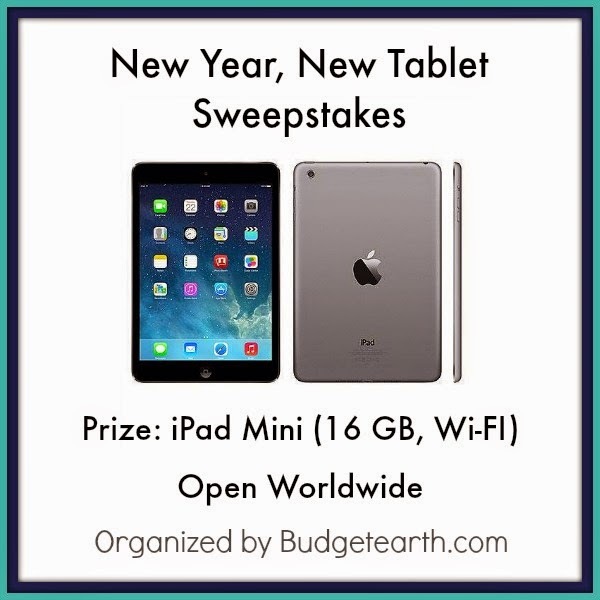 One lucky reader will win an 16 GB Apple iPad Mini. Open Worldwide (If outside the US, prize will be cash equivalent to tablet price only). Sweepstakes ends January 11th at 11:59pm ET. HAVE A HAPPY HOLIDAY SEASON & GOOD LUCK! 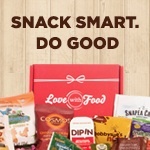 Great givaway. I love my iPad I've had it for years and my daughter has a mini that she loves as well! wow - that is a nice giveaway! That is a really sweet prize. I have an iPad mini, so I can speak from experience when I say it's awesome. This is a great giveaway. Have a great New Year/. This is a grea givaway. We all love our iPads at home, my daughter has a mini and I have the original one. That's a fantastic giveaway! We have an iPad Mini and LOVE it. Happy New Year!!! What A great giveaway, thanks for hosting! Great giveaway. I.wpulx love to win this ipad. I miss having apple products, I miss out on reviews sometime s because im only can review android. I've gone ahead and entered! Never really won anything in my life, but worth at least a shot, even if it is a long one. Awesome giveaway! Apple products are of great quality and they have such a great selection ipads. I've thought about getting one of these for my daughter. She has a tablet to use here but I think an iPad is so much better in terms of the variety of apps for autism. That sounds like such an awesome giveaway! I would love to have an iPad mini! How awesome is this! I would love to win this and will certainly spread the word as well. Thanks! That is an amazing prize! Good luck to all the entrants. Hope I win! I could really use a new Ipad! Thank you! My brother has been having his eye on a newer iPad. I've been trying to make a conscious effort to try to enter sweeps like this even though they seem impossible to win. You never know! This sounds amazing and I would love to have one of these and one for my kids too. Thanks for sharing I signed up.